The prosecutor told a press conference that the attacker had acted with "intentions that were very visibly criminal". 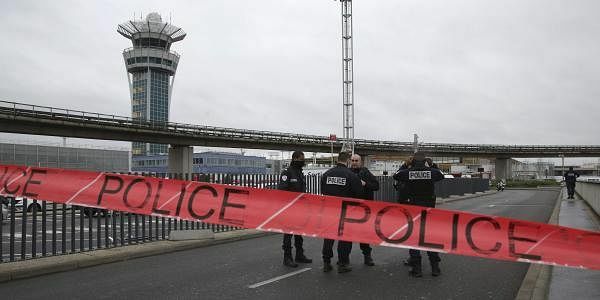 PARIS: The Frenchman shot dead Saturday by troops patrolling at Paris' Orly airport after he tried to take one of their weapons told them he was "here to die for Allah", a prosecutor said. "Put your weapons down, hands on your head, I'm here to die for Allah. In any case people are going to die," Ziyed Ben Belgacem told the troops, according to Paris prosecutor Francois Molins. Along with his father and brother, a cousin of the 39-year-old attacker has now been detained, Molins said. Before attacking the soldier at the airport, Ben Belgacem "threw to the ground a backpack containing a can of petrol", Molins said, adding the man had in his pocket a packet of cigarettes and a lighter, 750 euros ($805) and a Koran. "The two minutes (of confrontation) with the soldiers demonstrate quite clearly the very strong determination of the attacker," Molins said.